Johnson & Johnson won the latest trial over claims its iconic baby powder can cause cancer, as a jury in Long Beach, California, rejected a lawsuit brought by a 65-year-old retired teacher who claimed the product was contaminated with asbestos. The J&J victory Friday comes the week after the company settled three cases alleging baby powder caused a rare asbestos-connected cancer. Two, in Oklahoma and California, were settled during trial. The other, in New York, was settled less than two weeks before trial was set to begin. Plaintiff Robert Blinkinsop was diagnosed in July 2017 with mesothelioma, a rare cancer of the lining of the lung generally caused by asbestos exposure. 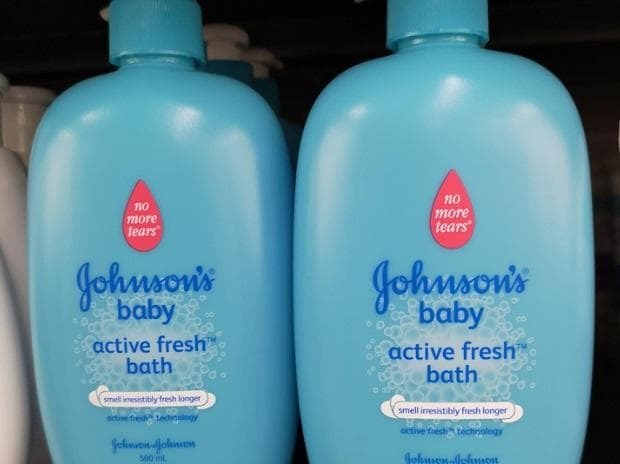 Blinkinsop used Johnson’s baby powder daily for personal hygiene from 1977 to 1994 and on his children from 1992 to 1996, his attorney, Mark Bratt, said at trial. He also used the company’s Shower to Shower talc product. ALSO READ: Does J&J's 'No More Tears' baby shampoo contain cancer-causing substance? J&J is facing more than 13,000 lawsuits linking baby powder and another talc product, Shower to Shower, to ovarian cancer or mesothelioma. More than two dozen trials have been scheduled in U.S. courts in 2019. The company’s record at trial has been mixed so far. The company lost a $29 million jury award in a California mesothelioma case March 13 and won a defense verdict in a New Jersey trial March 27, the same day it settled the three cases. Several of the first trials resulted in plaintiffs’ verdicts, including one for $4.69 billion in St. Louis in 2018 to 22 women with ovarian cancer. But J&J has been able to win reversals of three of the first five jury awards. The company has also won other defense verdicts in cases alleging links between baby powder and mesothelioma beyond the New Jersey trial. Some of the verdicts include awards against J&J’s talc supplier, Imerys America, which filed for bankruptcy protection in February. Lawyers for Blinkinsop and his wife Karen alleged that J&J knew for decades that its talc contained asbestos yet didn’t warn or protect customers. People at J&J “made some really poor decisions in the past,’’ which led to Blinkinsop’s exposure to asbestos, Bratt said. Talc and asbestos were found in Blinkinsop’s lung tissue, he said. The company’s attorney told jurors here is no asbestos in J&J talc products and its talc didn’t cause Blinkinsop’s illness. “For over 40 years we have been working with the best scientists, the best universities and the best laboratories who have all confirmed our products do not contain asbestos,’’ defense attorney Bruce Hurley said. The case is Blinkinsop v. Albertson Co., BC677764, Superior Court, Los Angeles Co. (Long Beach).